Explain Everything is a screencasting and interactive whiteboard tool that lets users annotate, animate, narrate, import, and export. The pay-for-program can be found on either the Apple App Store or Google Play. If you are interested in learning more you can visit the Company Website. 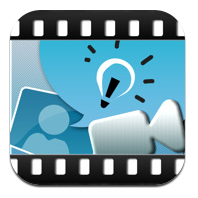 A great option for instructors who want to make visually appealing slideshows or lectures. Allows you to add animations in a slick format. Purchase the app or a subscription.